Prof. Qingli Li received the B.S. and M.S. degrees in computer science and engineering from Shandong University, Jinan, China, in 2000 and 2003, respectively, and the Ph.D. degree in pattern recognition and intelligent system from Shanghai Jiaotong University, Shanghai, China, in 2006. From 2012 to 2013, he was a visiting scholar at Medical Center, Columbia University, New York, USA. He is currently with the Key Laboratory of Polor Materials and Devices, East China Normal University, Shanghai, China. He is the author or coauthor of more than 50 papers published in various international journals and conference proceedings and a Principle Investigator (PI) for the National Natural Science Foundation of China (NSFC) projects. 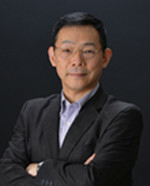 His research interests in biomedical engineering include molecular imaging, biomedical optics, and pattern recognition. Dr. Zhifu Sun received his medical and pathology training in China and medical informatics training in U.S.A. He practiced surgical pathology for quite some years before switching his focus to genetics, genomics and bioinformatics fields. For the past 15 years he has worked on genetic and molecular epidemiology of lung cancer and applications of bioinformatics and data sciences to medical research and precision medicine, particularly in cancer molecular marker identification, outcome prediction and epigenomics. His recent focus expands to large and heterogeneous data integration, utilization of medical record and image data for personalized medicine. Currently, he is a Consultant and Associate Professor in the Department of Health Science Research and the Associate Director of Bioinformatics Core at Mayo Clinic, Rochester, Minnesota. He has over 110 peer-reviewed publications, with many in high impact journals such as Lancet Oncology, JCO, Cancer Research, Arch Intern Med, Ann Oncol, Bioinformatics and Genomics.